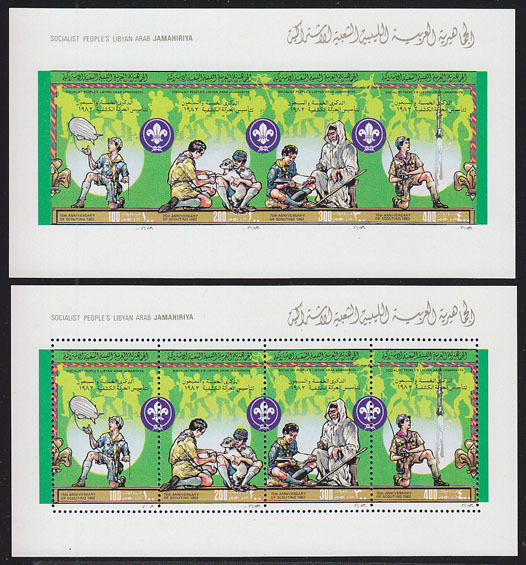 17150 ND LIBYA (1982) Scouting 75th anniversary*. Perf and imperf strips of 4. Scott Nos 1101a-d, Yvert Nos 1013-6.